I was recently contacted by Premier Bioceuticals. They offered to let me try some of their products free of charge in exchange for my feedback. I was reluctant because I have never done something like this before but I had checked out their products and thought I would give it a try. They sent me Serenitea and the FibroCane Daily supplement. I was pleasantly surprised by both of the products. FibroCane Serenitea’s tea is a caffeine free, gluten free herbal tea. It contains Holy Basil, Cardamon, Chamomile, Peppermint, Rooibos and Ashwaganda. I love the taste. I drank it on alternating nights prior to bedtime. On the nights when I drank the tea I found that I fell asleep faster. 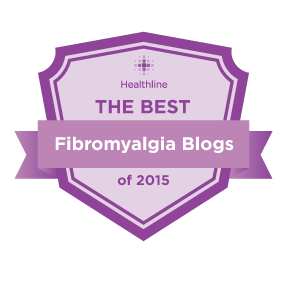 FibroCane Daily is a multi-vitamin created to help those living with fibromyalgia. This multi-vitamin contains Vitamin D, Vitamin C, Vitamin B, Magnesium, Ginger, Protease and Gaba. I have tried almost every combination of supplements to assist in my fatigue with little success. I have been taking it for a month and can honestly say that I have felt less fatigue since taking FibroCane. I have been very happy with both products and plan on continuing with the both the Serenitea and the FibroCane Daily, and would recommend both of them. As with anything always consult with your doctor before starting any new treatments. Premier Bioceuticals offers a Money Back Guarantee. If you aren’t satisfied with the product just return them for a full refund (minus shipping). No pain? ~ More brain?